Inclusion in community events and activities is critical to a healthy social life. But it can also be important to connect with people who share common concerns and support you in your spina bifida journey. 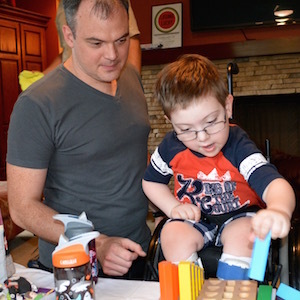 To this end, the Spina Bifida Coalition of Cincinnati plans a variety of programs that bring together people with spina bifida and their families. The Family Support Group meets online through remote meeting software. Parents share information, experiences and support in an informal setting. The group sometimes invites a speaker to join the conversation. If you would like to join this group, please contact the office at 513-923-1378 or email sbccincy@sbccincy.org. 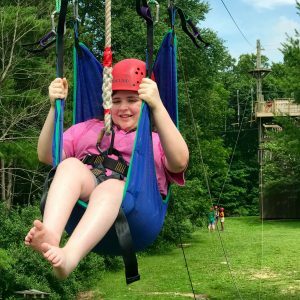 The Spina Bifida empowerment camp at Camp Joy is an opportunity for people with Spina Bifida ages 10 – 20 to practice independence in a fully-accessible camp environment. Individual assistance is provided by the on-site nurse and counselors for each camper, as needed. Go to the Event page for more details and to register for this year’s Empowerment Camp. Are you an adult, 19 or older, who enjoys food, friendship, and fun? Join us for our monthly meeting of the Adult Dinner Club. Invite a partner, parent, friend, or sibling; all are welcome. We do our best to select affordable and accessible restaurants around Cincinnati. If you have a favorite, let us know and we will try to include it in our rotation around the city. Dinner Club attendees are responsible for the cost of their own meal and beverages. 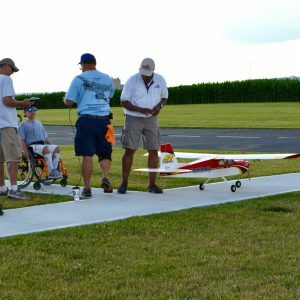 Each summer, the Greater Cincinnati Radio Control Club hosts a picnic lunch for SBCC at their airfield in Trenton, OH. Club members showcase their planes with a spectacular demonstration of their flying skills, followed by the chance for us to act as co-pilot. Don’t be fooled by the name, this event is open to “kids” of all ages. 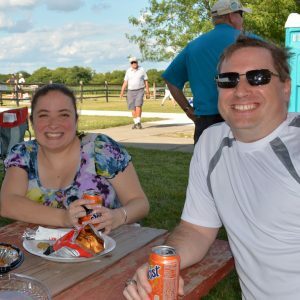 Check the events page to find details on this year’s picnic. Plan to kick off the holidays with the Spina Bifida Coalition of Cincinnati. Each year we plan parties to celebrate the Spring and Winter Holidays. The Spring Family Breakfast is for children 10 and under, along with their families. An accessible easter egg hunt, seasonal crafts and yummy breakfast treats make this celebration extra special. We also host a party in December for all members of the family. A casual lunch, holiday desserts, and crafts are enjoyed by all who attend. The party culminates in a visit from jolly old St. Nick and his lovely wife, who bring gifts and pose for family pictures. Make sure to register for these wonderful events. 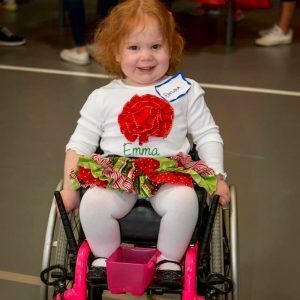 Facebook provides the perfect meeting place for local people with spina bifida and their families to post questions, share resources, and ask for prayers and support, without the hassle of coordinating schedules, hiring baby sitters and finding transportation. SBCC hosts and monitors 2 private Facebook groups, open by invitation only. 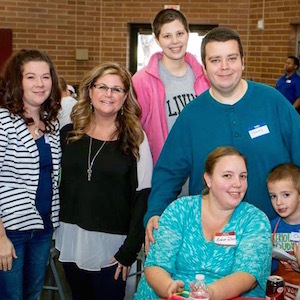 One group is comprised of parents, close family members, and people living with spina bifida and the other is for adults with spina bifida only. To keep the groups safe and personal, these pages are only open to people living in our service area and those who are seen at Cincinnati Children’s and do not have a support agency in their area. Please contact us if you would like to be added to one of these 2 groups.